Volunteers will be out in force today to clear an overgrown pedestrian and cycle path. 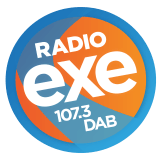 Improvements in Laundry Lane in Sidford, off Two Bridges Road, were carried out last year by Devon County Council in a £35,000 scheme. Laundry Lane was upgraded so it became a shared use walking and cycling link and provided a safe and attractive connection to the Byes cycle route, but the path has since become overgrown with vegetation blocking the path. 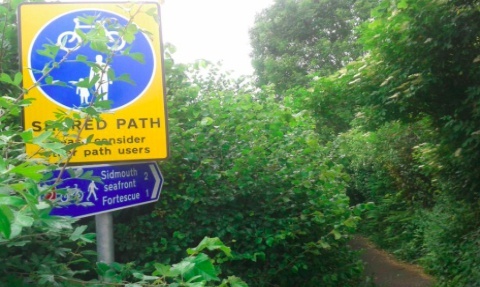 Councillor Stuart Hughes said: “Volunteers from Sidmouth Parish Paths Partnership scheme and the Trail Riders Fellowship will be clearing the route this Thursday evening. “The Parish Paths Partnerships Scheme is a Devon County Council funded initiative to ensure that the rights of way network is properly maintained by working in partnership with parish and town councils, landowners and local voluntary groups.